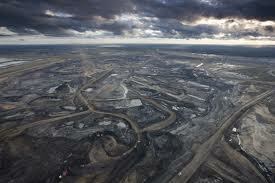 The Keystone XL Tar Sands Pipeline has been described by its opponents as one of the biggest carbon bombs on the planet. This pipeline is designed to open up the Canadian tar sands to exploitation: sands contain naturally occurring mixtures of sand, clay, water, and a dense and extremely viscous form of petroleum technically referred to as bitumen. It takes a hell of a lot of water and energy to separate the oil out of this dense mixture, and even then the oil still needs to be refined. The Keystone XL pipeline will bring crude down from Canada, all the way across the lower forty nine, to refineries along the Gulf of Mexico coast. Of course there are many hazards associated with transporting oil all the way across the continental U.S. In addition, however, we need to be asking ourselves a crucial question: should be really be opening up a massive store of fossil fuel at this date in history? Shouldn’t we be putting our money and our engineering expertise into developing renewable energy sources? The Keystone project, seen from outside, seems more like some sort of bizarre suicide pact or irrational, instinctual death wish than the work of a species capable of rational planning. The picture to the left shows what is left of the Canadian boreal forest after oil is extracted from the tar sands: a moonscape. Oil company stooges in Congress recently passed legislation forcing President Obama to make a decision whether to move forward with the Keystone XL project before the end of this year. In response, a protest campaign has developed that looks set to be one of the key struggles of the climate justice movement. Starting last night, protesters began engaging in acts of non-violent civil disobedience outside the White House to send a message to Obama. This campaign is going to last two weeks, with people being arrested solidly from now until the beginning of September. It promises to be one of the most significant campaigns of direct action in the nation’s history, and hopefully will help spark increasingly intense struggles for climate justice in the U.S. and around the world. 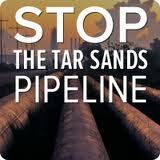 Here’s a link to the Tar Sands Action website, which contains information about the demonstrations and suggestions about how to engage in solidarity actions.